Back in 2016 I started a new hand drawn series that unfortunately stalled at 18 concepts. Dwindling inspiration, dissatisfaction with some the concepts and the decision to add helmet designs made me pull the plug and take a much needed break. Now I am back with a new series that I am truly proud of. I can say with complete confidence that I have given this new series every thing I have. I began working on new concepts at the start of 2017 and work has continued to this day. All 31 teams will be tackled and I plan on posting a new concept each day. Currently, 25 teams are completed so there will not a drop-off in material as there was on my last thread. I will kick things off with a team that just made its first Conference Final. Nashville Predators The Predators almost got things perfect with their 2011 redesign but a few bad decisions have them currently sitting in the middle of the pack. I removed the unnecessary piping and went with simple, traditional stripes. The Predators made gold more prominent on their road socks in 2013 so I decided to apply this change to the rest of the road uniform. It was tempting to go with a Navy alternate but I really wanted to make them the de-facto Gold team. The alternate adds silver to tip the hat to the pre 2011-look and the 3D logo has received a simplification in the same vein as the current primary. C & C welcome, thanks for looking . Hey everyone, It’s been quite awhile since I’ve posted on these boards, largely in part because life has a way of getting in the way, but I’ve been quietly lurking. 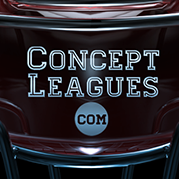 Some of you have probably seen me active on Dribbble and Instagram, and probably know that I’ve been working on my personal football league redesign, a thread that I received a lot of positive feedback on in 2011. Yes, I’m resurrecting it (although it wasn’t really dead in the first place). As we’re learning and developing our skills as designers, we tend to become better than the work we produce yesterday. I've been working on developing identities for each team on and off for the past 6 years. That being said, I’m excited to bring to you “The UFL Project”, a 2.0 if you will, a reimagining of 32 fictional football teams I created when I was 11. Named the “Ultimate Football League”, my goal for this project is to bring the brand to life through visuals, custom logos and typefaces, and to make each individual team a brand of their own. I have been running the Ultimate Football League for the past 25 seasons (which equates to about 10-ish years), with complete rosters and histories. I’ve ran the league through the Franchise Modes of Madden 06, 09, and now 12. Feedback is always appreciated, but I’m not looking for critiques of league alignment, storylines, etc. Most of these decisions are based off of the history of the league and the original teams 32 that I started with. I have a lot that I’m excited to share, but for now, here’s the league logo. EDIT: If anyone knows of a solution for the quality loss in the embedded image, let me know! RATIONALE Think of the UFL as this alternate-universe football league that takes the place of the NFL in the football world. Other popular leagues still exist, but the entire football lineage from the NCAA to the pros has been completely redirected towards the Ultimate Football League. Major entities like Nike and ESPN are very much alive, while some smaller companies that may hold sponsorships and naming rights are completely fictional to fit with the storyline and lineage of the league and its owners. The timeline of the league is also based on seasons, not years, due to the fact that multiple seasons may be simulated within a year. However, based on the 25 seasons to the date, we can infer that this league started somewhere between 1991-92. Currently, the league is simulated in the Madden 12 Franchise Mode (previously Madden 08, 09), which means it isn’t uncommon for ridiculous scores and stats to pop up (CPU users don’t tend to show sportsmanship in blowout games). It also ins’t uncommon for dynasties to win 4 championships in a row, or appear in 8 consecutively. When instances like these happen, I try and incorporate it into the storyline as much as possible. It’s more fun that way. STORYLINE The Ultimate Football League is an American football league made up of 32 teams spread out across the United States. The league is split up into two conferences – The Great West conference and The Great East conference – and each conference has four division of four teams each. The regular season is 17 weeks long, with 16 games and a bye week, and is concluded with a tournament-style playoff structure in which the four division winners and two wildcard teams in each conference play in a single-elimination game format, with the final two teams playing in the UFL Championship. The team with the most UFL Championship wins is the Chicago Dragons (11), and the most recent champion is the Los Angeles Aztecs, defeating the Cincinnati Vultures 30-7 in UFL Championship 24. There are still 13 teams that have yet to reach the championship. Everybody knows the news that Under Armor will be taking over the MLB jerseys in 2019, but I had the idea to think of a world in which Nike was running the MLB. This is that world; vibrant, creative, and very unique. Some of these designs will be off the wall, while others will put a modern, yet classic twist on timeless jerseys. This is my first major project, and I fully intend to complete this to the very end, so constant C&C will be very helpful and appreciated. I have no particular order for which I will be unveiling these teams, basically whatever comes to mind for me, or if you'd like, you can request a team and I'll see about getting to it! First up we have the Miami Marlins. What I've done here is tried to create a blend of the old logo set and the new one. I boiled it down to just three colors, black, orange, and light blue. Occasionally I will use gray as an outline or accent color, but those are the main three. So without further ado, here is the first set of logos for MLB by Nike. Thanks for looking and C&C is greatly appreciated. In the past year, I've been strategizing on a project involving a professional volleyball league. It would be called the World Volleyball Association and act as a nod to the International Volleyball Association of the 1970s. Many of the teams in this new league would have brands similar to the 1970s counterpart but take on a modern identity. This project is meant to help build my design portfolio after I graduate from VCU and any comments or suggestions are appreciated. I plan on making this project on an extended timeline but I wanted to at least share my idea for the league's official emblem. Backstory: Since this league would be a direct descendant of the original International Volleyball Association, I wanted to introduce a palette of 1970s pastel colors, a groovy yet futuristic typeface, and a stylistic reference of two opposing sides facing of inside of superimposed tennis court. The orange roundel encompassing the other elements of this design are meant to act as a globe. Seeing as the league would be "represented" on a global level with co-ed rosters, it would act as a message of unity. Sunsets are awesome. They're beautiful, majestic, and one of the coolest thing nature gives us. Since we all love sunsets, it only fits that there's one on a shirt! The colors on the design are color-picked directly from a picture of a sunset I took. Essentially, I took the simplicity and beauty of a sunset and put it on a shirt. Now, I am proud to say that my design "Summer Sunset" is live on cotton bureau. HERE: https://cottonbureau.com/products/summer-sunset For those of you who don't know how cotton bureau works, designs are submitted by designers, then either accepted or rejected. If accepted, their design will be "live" (able to buy on a t-shirt)) for 2 weeks, in which 12 shirts must be sold in order for the shirt to go to print. "Summer Sunset" is available to buy NOW!, but only for a limited time. HERE: https://cottonbureau.com/products/summer-sunset The design looks like this: On a shirt (also available on heather gray or white): I am always looking to get better, so C&C is appreciated. You can get one HERE: https://cottonbureau.com/products/summer-sunset If you don't actually buy one, but still like the design, do me a huge favor and share this link: https://cottonbureau.com/products/summer-sunset or even the link to this post. Thank you for your support! I have two game-worn jerseys of my favorite childhood athlete wasting away in a drawer and I really want to step up and frame them for my office... my father is a high-end woodworker, so I am good on the hardware, I am eyeing all the UV-protecting class and non-acid backing, etc, and I will probably bite the bullet on having a professional mount everything... but I am more interested in the conceptual side since I will want to design the actual layout myself... does anyone have any framed jerseys in their home/office? Any pics of your setups or general advice? Any tips are appreciated! So I was originally going to abstain from posting this, but I could really have another set of eyes look at it. - Drew Inspiration from mountains clearly - To Be used as watermark on my photographs and work design. - Uses my initials, HK. Lemme know what you think! My concept for an athlete log like Lebron, Chris Paul, RG3, etc... I think I have a good start, want to get some feedback on it. Put it in the Cardinals colors, cause well, we need him haha. I I am a student of arts and I want to start my career as a designer. Can you suggest me some good tools which I need to master before I enter my career. I haven’t decided which field I would be working for, but I don’t want to restrict myself to one domain only. I know that designers use different software for different industries. For example, if I have to make a custom logo design, I need to learn logo maker, adobe illustrator, logo smartz etc. But what if I have to make a banner? I can’t use the same software’s right. So can you guys list me some essential software which can help me irrespective of the industry I choose.